The loonie will continue its long, slow slide from parity with the U.S. dollar and will fall below 85 cents U.S. in the third quarter of next year, CIBC says in a new forecast. That would mark the lowest point for the loonie since the financial crisis of 2008-09, when it briefly fell below 80 cents U.S. The loonie hasn't regularly traded at levels that low since around 2006. CIBC sees the lower Canadian dollar as a good thing, because exports still aren’t strong enough to generate enough jobs. 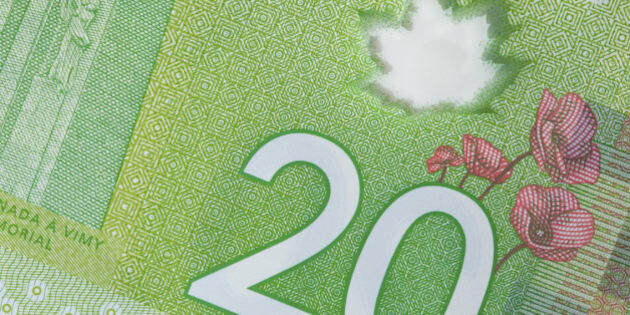 “Though the Canadian economy appears to be gaining some momentum … there’s a risk it will subsequently decelerate without a weaker exchange rate to lift exports,” CIBC economists wrote in the forecast. Canada’s employment numbers “continue to disappoint,” and if the economy doesn’t start churning out more jobs soon, the country risks “a slowdown in consumption and homebuilding,” CIBC said. The report predicts that the U.S. Federal Reserve will start raising interest rates in the spring of 2015, well before the Bank of Canada is expected to follow suit. If that happens, the interest rate spread between Canada and the U.S. will make the U.S. dollar more attractive, sending the loonie down. CIBC predicts the Canadian dollar will bottom out at 84.7 cents U.S. by the second half of next year, before beginning a slow bounce-back. Rahim Madhavji, president of Knightsbridge Foreign Exchange, told BNN he expects the loonie to eventually rise above 95 cents U.S., but he too sees an 85-cent loonie in the near future. He says this is really about the U.S dollar strengthening, and not the Canadian dollar weakening. “The Canadian economy is improving but it’s mixed, it’s not as good as the U.S. economy,” he said.